Why not book a breakfast with Santa? Enjoy a buffet style breakfast in the Garden Room, consisting of; fruit juice, cereal, toast (with preserves), bacon, sausage, scrambled eggs and beans, along with tea/coffee. Whilst you are eating your breakfast, a bell will ring to let you know that Santa is on his way! Once he arrives, he will visit each table and present each child with a certificate to visit him in his grotto where they will receive a gift and have an opportunity to speak with Santa personally about any Christmas wishes they may have. Make sure that you bring your camera as there will be photo opportunities at both the breakfast and the grotto. 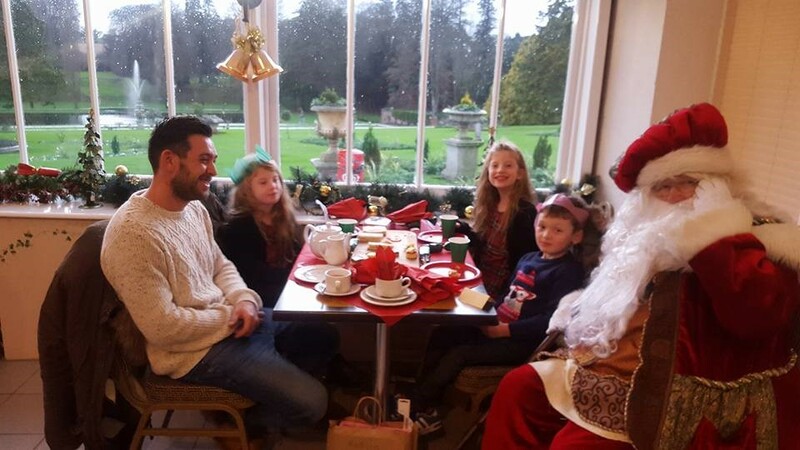 Breakfast with Santa includes full day entry to Bicton Park Botanical Gardens.